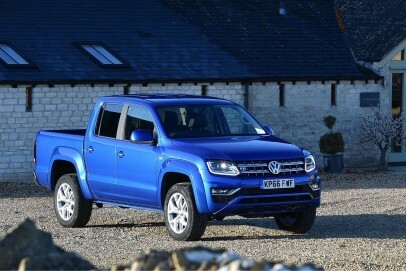 Oriental models have for too long held sway in the UK pick-up truck market, a state of affairs that Volkswagen set out to change when they launched this Amarok model in 2011. Big, economical and very capable, Volkswagen's off-road load-lugger was designed to give the Japanese contingent a few sleepless nights but originally boasted a 2.0-litre diesel line-up in a class where rivals had 2.5 or 3.0-litre units. Hence the development of an all-new six cylinder 3.0-litre TDI unit for this latest version claiming an effective mixture of power and efficiency. The result should be a very complete pick-up indeed.